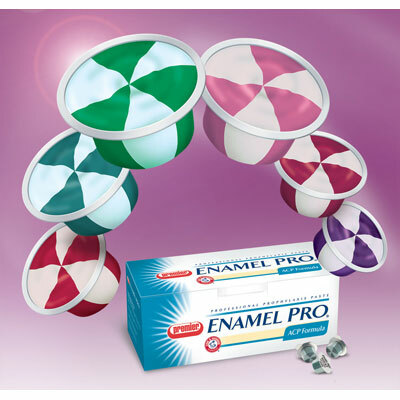 VanillaMint Enamel Pro | PREMIER DENTAL PRODUCTS CO.
A subtle splash of vanilla blended with a mild mint flavor, VanillaMint is a pleasant addition to the Enamel Pro prophy paste collection. Patients and dental professionals will appreciate the unique presentation, the pleasant aroma, flavors and taste of Enamel Pro, as it removes stains and polishes quickly without splatter. Gluten-free, it also rinses off easily. Enamel Pro is available in fine, medium, and coarse grits, in a box of 200 single-dose cups. Great mild mint flavor with a touch of vanilla makes a pleasant palatable taste! I think this is, hands down, THE best tasting prophy paste on the market. The patients LOVE it!